With spring now rapidly approaching (after what seemed to be the longest winter since UK records began) now is the time to take your rake, shears and garden sacks into the sparse landscape that has become your garden. 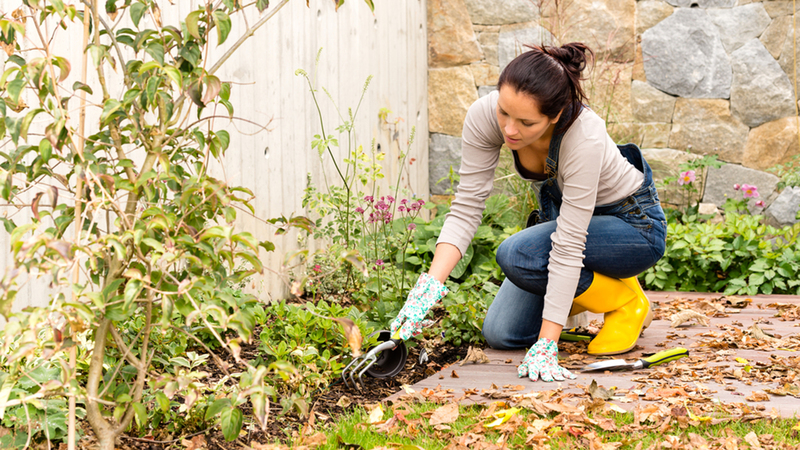 Here are our top tips for a pre Spring garden tidy up in minimal time. Spring is an exciting time for the avid garden and now you can finally begin planning ahead for your summer bulbs and seeds. Bulbs that you may want to think about now are Lilies, Gladiolus and Ranunculi’s – which can all be planted during the earliest days of spring. During the course of a winter flower beds can become awash with leaves and rubbish, so take your sack and shears and clean up the bed followed by a cutting away of dead growth. Soon your greenhouse is going to be home to an array of fledgling seedlings – so prepare now by having a sweep out, a wash of the windows and a rub down of any benches. Of key importance is the use of disinfectant – this will make sure that those winter pests (and the diseases that they leave) are washed well and truly away; forgetting this step however may see your seedlings suffering from poor growth or disease that kills them off. Finally you should rinse out your trays and stack them up ready for the spring’s arrival. Ideally you would already have sown your seeds that require a longer season - this includes seeds such as Geraniums [Pelargoniums], Begonias, Antirrhinums, Peppers and Aubergines. Generally these must be sowed in January or February, although there’s still time to do this if you act fast. Remember that these must be grown within a heated environment. Pests can prove to be an annual annoyance come spring and summer, so tackle these now whilst many slugs, snails and aphids are still in hibernation. It may still feel near freezing some days but there’s nothing quite like a spot of garden DIY to warm you up! What’s more if you fix up your broken bits and pieces now, come spring you’ll be able to focus upon the more enjoyable aspects of gardening. With a little more time on your hands before the sun arrives and does away with the grey cloud why not indulge in a little eco activity and set up a compost? These can be a god send for both a gardener as well as the environment, and may mean far fewer trips to the tip as you can simply tip any grass clippings, vegetable peelings, paper and prunings directly into the compost. Tidying up your paths only requires a sweep and an edge trimming of any encroaching grass. Couple this with a high pressure wash down of any decking areas to do away with the slippery scum that may have appeared over the colder months. If you have wooden furniture then it may be looking a little unloved after the winter season. So wash it down, dry it off and consider adding a slick of bright paint or vanish for a garden that already looks inviting despite the spring not quite having arrived. Hedges and trees can become unkempt during the long winter months, so finish off your tidy up with a thorough trim.